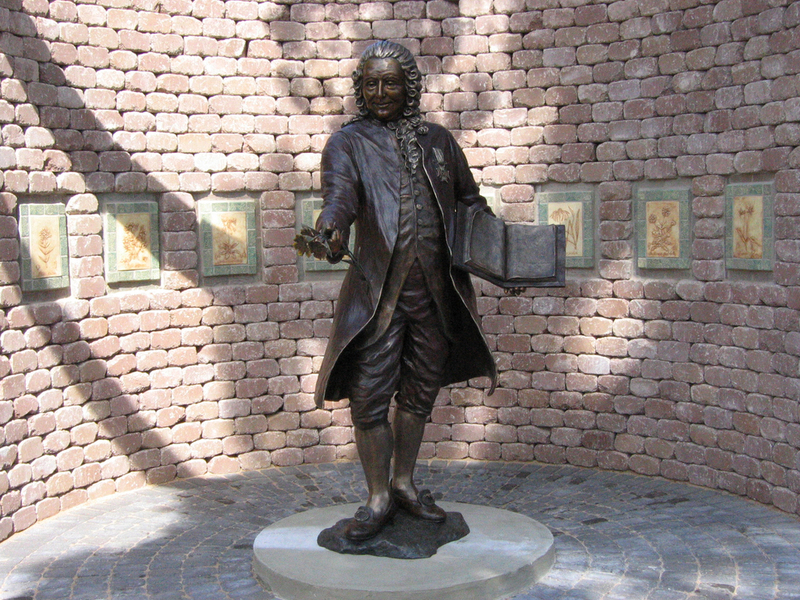 Known as the "Father of Botany", we see Carolus Linnaeus teaching and holding his book of botanical drawings. 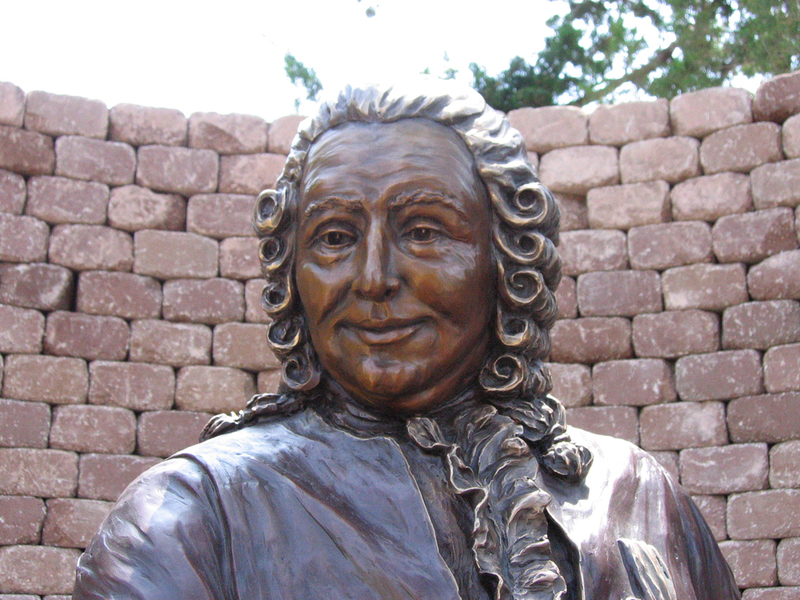 Carolus Linnaeus is known as the "Father of Botany" because he laid the foundation for the classification system using genus and species for all living things. 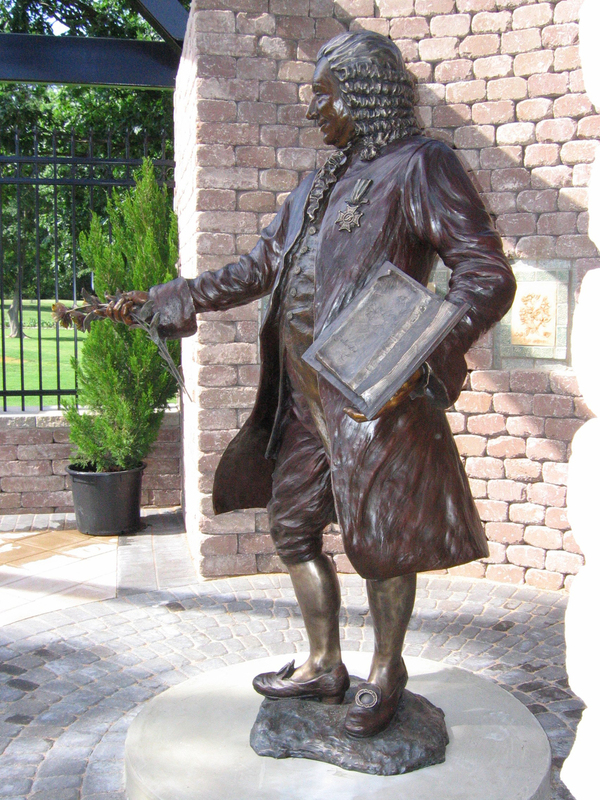 Number 1 in the edition was commissioned for the Linnaeus Gardens of Oklahoma. I loved doing the research for this piece. I used one of his few portraits as my guide. The medallion he proudly wears is the emblem of the Order of the Northern Star awarded him by King Ferdinand. I chose to capture him teaching, which was his great love. 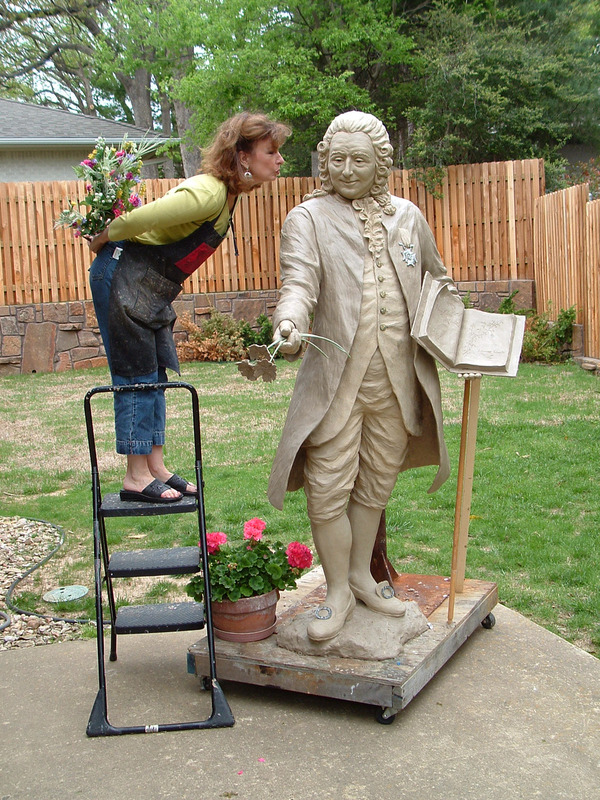 This sculpture is also available in an 18 inch size.